Filby Driver Training is the number one choice for independent driving schools in Hounslow. As well as providing driving lessons in Hounslow, we also cover Twickenham, Isleworth and Sunbury through to Ashford. Darren Filby is a DVSA “Grade A” instructor. Few learners are aware that all instructors are graded. Usually, only the highest grade instructors will advertise that fact though. To pass the test in Hounslow you need the best training, and the best driving lessons. Darren Filby, the owner, will provide patient attentive tuition to help you learn to drive in Hounslow. Filby Driver Training prides itself on the quality and the professionalism in the way it conducts business, to provide you with the best possible experience with your driving lessons in Hounslow. Your driving lessons in Hounslow will be tailored to fit in around your current skill level and your driving needs, irrespective of whether you are looking for refresher driving lessons, advanced tuition, or if you are a complete beginner. Success is the main motivation for your driving lessons in Hounslow, and for 2018, Filby Driver Training can boast a first time pass rate of 85%. 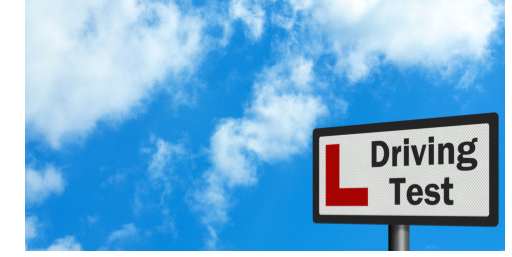 To equip you with the skills to become a safe driver in Hounslow, your course of lessons will be specific to you - your learning style, nervous driver, tight timescale, and so on. We aim to be as flexible as possible with our driving lessons in Isleworth to enable you to manage lesson time around your other commitments. Learning to drive is made a whole lot easier when you have the expertise of a Grade A Instructor to guide you through the process. All clients are individuals, with differing needs, so each course of lessons will geared towards your particular requirements. We do not use a “one size fits all” approach. In doing so, your confidence will gradually build, and before you know it, you will be driving. You will find more 5* reviews like this on the Filby Driver Training Facebook page. In addition to regular driving lessons, Filby Driver Training also provides refresher driving lessons in Hounslow. These are ideal for anyone looking to increase their overall skill and confidence. Motorway lessons in Hounslow are ideal for new drivers looking to gain experience in a faster, busier environment. Or perhaps someone who simply lacks confidence with the higher motorway speeds. Driving Lessons in Hounslow TW3, TW4 - Summary • All driving courses and lessons are individually tailored to you. • There will be plenty of opportunity each lesson to have a go yourself. It’s the best way to learn. • Your instructor, Darren Filby, is a fully qualified DVSA driving instructor, who was awarded the highest grade in his 2015 “Standards Check”. • All driving lessons in Hounslow are conducted in a relaxed environment to maximise learning. • One of the lowest student lesson fee rates in the area. Filby Driver Training believes it is amongst the very best driving schools in Hounslow. Take a look at our testimonials and past successes. Welcome to Filby Driver Training, one of Hounslow’s longest established independent driving schools. Started in 2010 by the owner, Darren Filby, 80% of our business is through the recommendations of previous happy clients. Darren Filby holds the highest instructor grade - Grade A - so you can be sure of top quality driving lessons in Hounslow. Our first time pass rate (that bit is important) for 2018 was 85%. “Try before you buy” offers are available to all learners, and Filby Driver Training has one of the lowest student rates in the area. Filby Driver Training is the number one choice for independent driving schools in Hounslow. As well as providing driving lessons in Hounslow, we also cover Twickenham and Sunbury through to Ashford. 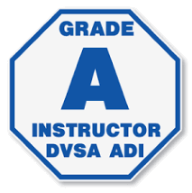 Darren Filby is a DVSA “Grade A” instructor. Few learners are aware that all instructors are graded. Usually, only the highest grade instructors will advertise that fact though. To pass the test in Hounslow you need the best training, and the best driving lessons. Darren Filby, the owner, will provide patient attentive tuition to help you learn to drive in Hounslow. Filby Driver Training prides itself on the quality and the professionalism in the way it conducts business, to provide you with the best possible experience with your driving lessons in Hounslow. Your driving lessons in Hounslow will be tailored to fit in around your current skill level and your driving needs, irrespective of whether you are looking for refresher driving lessons, advanced tuition, or if you are a complete beginner. Success is the main motivation for your driving lessons in Hounslow and for 2018, Filby Driver Training can boast a first time pass rate of 85%. To equip you with the skills to become a safe driver in Hounslow, your course of lessons will be specific to you - your learning style, nervous driver, tight timescale, and so on. We aim to be as flexible as possible with our driving lessons in Hounslow to enable you to manage lesson time around your other commitments. Take a look at our Facebook Page, and see why we have so many 5 star reviews. In addition to regular driving lessons, Filby Driver Training also provides refresher driving lessons in Hounslow. These are ideal for anyone looking to increase their overall skill and confidence. Motorway lessons in Hounslow are ideal for new drivers looking to gain experience in a faster, busier environment. 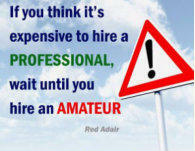 Or perhaps someone who simply lacks confidence with the higher motorway speeds. Driving Lessons in Hounslow TW3, TW4 - Summary • All driving courses and lessons are individually tailored to you. • There will be plenty of opportunity each lesson to have a go yourself. It’s the best way to learn. • Your instructor, Darren Filby, is a fully qualified DVSA driving instructor, who was awarded the highest grade in his 2015 “Standards Check”. • All driving lessons in Hounslow are conducted in a relaxed environment to maximise learning. • One of the lowest student lesson rates in the area. Filby Driver Training believes it is amongst the very best driving schools in Hounslow Take a look at our testimonials and past successes.